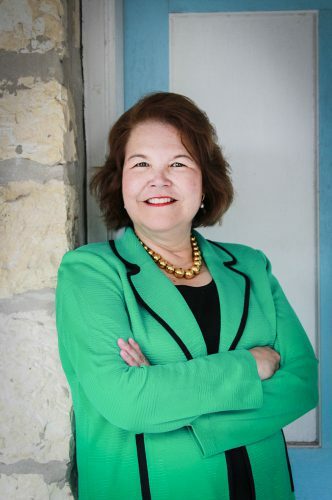 Judy Canales is one of the 5 democratic candidates that have entered the district 23 race. The district spreads from San Antonio out to El Paso and and includes the Big Bend region, and is considered a target district for Democrats in 2018. Ahead of march primaries, Canales has been touring the district and reaching out to constituents. In this interview Canales talks about her years of work with the United States Department of Agriculture and how she sees herself different from her democratic candidates. Canales, who served in appointed roles with the United States Department of Agricutlure under former presidents Bill Clinton and Barack Obama, says this race is a “tremendous opportunity” for her. The Ulvalde Democrat isn’t focusing on labels, but says her agenda is “pro-23,” which she says centers on economic development. The democratic primary for the district has quickly filled: former federal prosecutor Jay Hulings, Rick Treviño, a former teacher and Bernie Sanders delegate in last year’s Democratic National Convention, Gina Ortiz Jones, a former Air Force intelligence officer, Uvalde resident Angela “Angie” Villescaz. In the rest of this interview Judy Canales talks about how her parents also inspired her campaign, and how she believes her background can help her to serve the rural pockets of District 23. This entry was posted in KRTS News, KXWT News and tagged District 23, Judy Canales, March Primary. Bookmark the permalink.